Annese & Associates, Inc., is pleased to announce that Gina Campese has joined the company as the Design & Copy Specialist for the Marketing Team. Gina is based in the Syracuse office and reports to Christina Nordquist, Marketing & Communication Supervisor. “I am privileged to be part of one of the best companies to work for in New York State. This position will give me the opportunity to express my creativity at all levels, and I am looking forward to the challenge,” said Gina. Gina graduated from SUNY Cortland with a Bachelor of Arts in New Media Design and Communication Studies. As the Design & Copy Specialist with Annese, Gina is responsible for concepts, designs, and production of graphics and related copy to support Annese branding and marketing campaigns. Gina will also execute on the company’s social media and content marketing strategies. Pepper Group, a Chicago marketing firm, recently received twelve 2013 American Graphic Design Awards from Graphic Design USA. The B2B marketing agency was recognized for a variety of marketing materials it created for 3M, Sogeti, MorrisAnderson, Transilwrap, Thermal Care, The Vaya Group and Hoffer Plastics Corporation. These accolades complement the company’s recent 2013 American Web Design Awards for edlong.com, qualiseal.com and transilwrap.com. “We’re pleased to be acknowledged for such a wide range of work, from digital and trade show campaigns to advertising, lead generation, sales tools, logo design—and even a collectible book,” says Pepper Group President George Couris. “We’re honored to earn this extra recognition for our clients,” he adds. Of the more than 8,000 entries GDUSA received, only the top 15% were recognized with Certificates of Excellence. Pepper Group is a finely tuned team of seasoned professionals that helps clients drive revenue and profitability through effective marketing. The award-winning Chicago agency has 19 years of experience delivering creative, effective marketing solutions to clients in a variety of industries. Capabilities include marketing/strategy; websites and interactive; video, animation and demos; branding/identity; corporate communications; lead generation; product/service launches and event planning and support. Pepper Group was named a BtoB magazine Top Agency for the past six years in a row, and is one of Chicago’s 101 Best and Brightest Companies To Work For (TM). For nearly five decades, Graphic Design USA has sponsored national design competitions that spotlight areas of excellence in design. These will be featured in the 300+ page full color American Graphic Design Awards Annual, seen by an estimated 50,000+ creative and marketing decision makers. They will also be featured in the Graphic Design USA Online Winners Gallery website, with 100,000 visitors per month. TFI Envision, Inc. has been consistently selected as winners in this competition for over a quarter of a century. Arcade Design, a Midlands Exhibition Design Stand company has been elected to refit a showroom and reception area for high end coffee machine company So Pure. 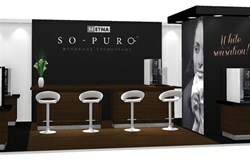 So Pure produce high quality Swiss brew systems through their affiliate, Etna Coffee Technology. The continued partnership was confirmed after Arcade Design created the So Pure stand for the AVEX Vending Show 2013 which received positive feedback. The Avex Vending Show is the largest UK exhibition for vending and water. The event takes place every two years with over 150 exhibitors and visitors from the world's major manufacturers, operators and service companies. “Many of the other stands at the Avex show have loud graphics and are somewhat gaudy. We built a stand that resembles a sports car showroom; it exudes class and style in a minimalistic way that really catches people's eye,” says Allan Ward. The exhibition stand company highlight the importance of designing bespoke quality stands that can be re-used in showrooms in order to cut costs for clients. Arcade Design are an exhibition design stand company in Sutton Coldfield. They design and build exhibition stands for both large and small companies with stands designed for Claire's Accessories, LG and So Pure. The editors of Graphic Design USA have recently announced the winners of the prestigious American Graphic Design Awards 2013. One of the recipients of this year’s award is Jennifer Dopazo of Candelita http://www.candelita.is, a multimedia design studio located in New York City. Dopazo won for the outstanding book cover design of The Blue Hours by Lillian Ann Slugocki, http://tinyurl.com/khk8rry. For nearly five decades The American Graphic Design Award has recognized thousands of creative professionals with the competition being open to advertising agencies, graphic design firms, in-house publishing departments, and more. It honors the outstanding new work of print, packaging, point-of-purchase, internet, interactive and motion graphics. Winners of this esteemed award receive a Certificate of Excellence for each piece selected and become eligible for reproduction in the 50th Anniversary GDUSA Awards Annual. Dopazo’s company, Candelita, specializes in brand strategies, web design and development, mobile implementation, and more and works with high-end consulting clients and educational collaborative communities. Clientele consists of The New York Times, Gerson Lehrman Group, BlackRock as well as many artists abroad. Candelita’s focus is on new media and learning communities in medialabs around the world. That is where Open Source work started and Dopazo was proud to start implementing this in the consulting work being done at Candelita. Additionally, Dopazo teaches workshops and has online programs teaching design, technology and branding using Open Source tools. Dopazo is originally from Caracas, Venezuela and holds a Master’s Degree from Parsons The New School of Design. Dopazo is also a featured guest lecturer and advisor at the Free Culture Forum, Escuela de Arte 10 and Medialab Prado in Spain, Plasma Conference, Fundación Telefónica and Escuelab in Lima, Perú, Upgrade São Paulo in São Paulo, Brazil, and Eyebeam in New York. Dopazo takes pride in the fact that the work done for clients is not about shiny graphics, but building a solid relationship with every client and creating pieces of art with each project. Stop by the site at http://www.candelita.is to learn more and to see some of the amazing design work being done. Also, sign up for Brand Talks: 15-minute free one-on-one branding and web design brainstorming sessions. Connect with Candelita on Facebook and Twitter - http://www.Facebook.com/candelitalab and https://twitter.com/candelitalab. For media interviews, contact Dopazo at jen(at)candelita(dot)is. Candelita is a design studio that provides cross-platform design services. The company believes in the power of play and interaction as an approach, inspiration and provocateur for social engagement. Candelita offers multimedia services in interaction design, visual communication and creative production by combining the most powerful aspects of research, design and technology. A' Design Award and Competitions are happy to share that the design Surface by Grégoire A Meyer has been granted the notable Silver A' Design Award at Computer Graphics and 3D Model Design Competition. A winning project Surface demonstrates the ethereal nature of the piece gives rise to something tangible. The idea comes from the use of water as an element to convey the concept of surfacing and being a surface. The designer has a fascination for bringing into being our identities and the role those around us have in that process. For him, we "surface" when we show something of ourselves. To learn more, please follow: http://www.adesignaward.com/design.php?ID=28179. The Silver A' Design Award is a prestigious award given to top 5% percentile designs that has delivered an exemplary level of excellence in design. The designs are judged by a panel of three different jury which is composed of Academic, Professional and Focus Group Members. The designs are evaluated with score normalization to remove any biases and are voted on aspects such as functionality, ergonomics, engineering, presentation, innovation, usability, fun details, technology, and any other specific points that could be considered, each of these points are further weighted for different jury groups. A'Design Award and Competitions, aims to highlight the excellent qualifications of best designs, design concepts and design oriented products. A' Design Award and Competitions are organized and awarded annually and internationally in multiple categories to reach a wide, design-oriented audience. Learn more: http://www.whatisadesignaward.com. DigITech Web Design is pleased to announce that two-time Mixed Martial Arts World Champion BJ Penn has endorsed their leading Austin website design firm. Penn is also a Brazilian Jiu-Jitsu world champion who is presently fighting for the Ultimate Fighting Championship. He has endorsed digITech Web Design because it is a cutting edge leading company providing innovative web designs, graphics designs, WordPress development, mobile app development and SEO services, which are all tailored to meet the exact needs of their individual clients. DigiTech Web Design is different because they use a 360-degree web design philosophy. This means they don’t just build websites; they create their websites from top to bottom to represent the specific needs of each client. Each website is built with three unique main elements, including web design, search engine optimization and social media integration. When all three are added together, it equals success. They also include industry leading protocols, such as a direct sales funnel and call to action that specifically steers potential customers to take action, resulting in the sale of a product or service. This is what makes digITech the leading Austin TX Web Design firm. When using the services of digITech Web Design, clients will receive personalized services and website solutions that work best for their individual company needs. Since every company has its own exclusive set of needs, digITech works intensely to meet those needs through their ground-breaking website creations. Anyone who would like more details on DigiTech can learn more by visiting the digITech Web Design website or by calling (512) 653-3003. About digITech Web Design: DigITech Web Design is a leading website design firm based out of Austin, Texas. They offer top-notch website design, Word Press development, mobile application development and search engine optimization. 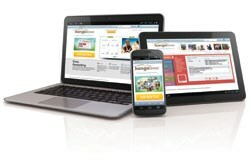 They incorporate state-of-the-art technology into all of their customized websites to create visually striking websites. They also build them to engage prospective customers and assist in increased website traffic, which in turn results in profitability for a company. We also deliver best in class Mobile App Development for both the iPhone and Android Platform, in which we have developed the custom iPhone app for BJPENN.